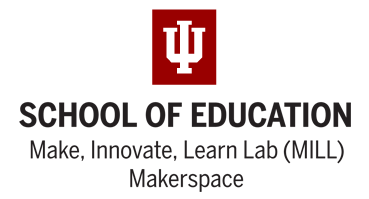 The IU School of Education Make Innovate, Learn (MILL) Makerspace will be a sponsor of Makevention in 2018. We can’t thank them enough for their support! They will have a space to engage visitors in seeing what is possible through making and allow them to do a bit of building/making themselves. This entry was posted in Sponsors2017, Sponsors2018 on August 17, 2017 by admin.